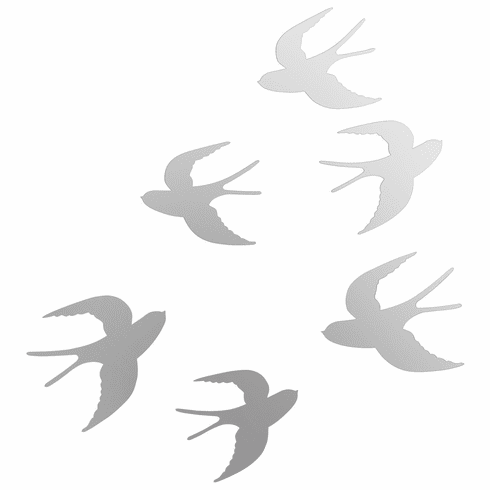 Umbra's Tweet set of 6 wall dŽcor birds is a sweet, eye-catching way to decorate your space. Each molded chrome bird measures between two 5.5" x 6.5" and four 5" x 5.5", and easily mount to the wall with simple snap-in tack hardware (included). Hang them in a flock or individually - let your imagination soar! Design: Tom Vincent exclusively for Umbra - a worldwide leader in casual, contemporary and affordable design for the home.